This might be Bizarro Season in the AL East. The Red Sox and Yankees could very well be basement dwellers in 2012. The Rays, Orioles and Blue Jays have very strong teams. I am particularly impressed with Baltimore. Things are looking good in Birdland. 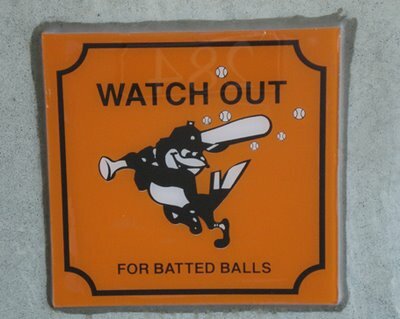 Buck Showalter has these guys playing good ball. I'm really diggin' Matt Wieters. The kid's uber-talented. Good for O's fans...it's been a long time comin'. Sadly, Adam Yauch a.k.a. MCA, co-founder of the Beastie Boys, passed away after a long battle with cancer.